SocialSEO is Portland, Oregon’s premier one-stop Search Engine Optimization (SEO) shop. Our teams and Portland SEO consultants provide world class service with the aim promoting your websites, ranking at the top in search engine results, and converting page views into profitable engagements. Our services are vast and second to none. With over two decades of SEO experience, we understand, manage, and keep up to date with all the nuances and constant changes within the online marketing industry. We understand the that Portland SEO services demand a comprehensive approach to digital marketing, and our experts have the ability to turn your business into a formidable online presence. We will target optimization locally, regionally, and globally and take advantage of all digital marketing channels for you. If you’ve had an online presence for years or are new to internet marketing our consultants will work with you and create strategies employing the different types of campaigns customized toward your goals and objectives. Once a direction is defined and strategies for executing marketing plans are in place, our teams will manage each effort, analyze results, and keep you abreast of changes. Using us as your Portland SEO Company is like having a whole new department at your fingertips whose primary aim is to meet and exceed your business goals. Depending on the level of service you require, you may have multiple teams working on your behalf. Your team manager will coordinate all SEO efforts and marketing campaigns from site design to social media. Dedicated to increasing traffic from both organic and paid strategies, we allow you to focus on your company’s core competencies while we promote your name, products, and services. SocialSEO’s history dates back to the dawn of SEO in the 1990s when search engines began cataloging the web’s content. It was then that webmasters and content writers realized that specific keywords and meta tags in web copy and code would be identified, captured, and extracted to the Search Engine Results Page (SERP) resulting in a website’s ranking. In the 20 years since, the practice of SEO has turned into a $70-billion-dollar industry. Some of the SEO work we perform for you include advanced keyword mapping, competitive market analyses, citations, review strategies, e-commerce SEO, content management, and so much more. Taking advantages of the sole aim of increasing brand awareness and maximize conversion rates. Our specialists offer measureable results and provide metrics tracking to identify activity trends and rankings progress. But, what exactly is SEO? SEO is the method of creating organic results, that is, results from a site which ranks high due to the adherence to and employment of SEO principles and factors in which to attract visitors to a website. When a person conducts a search, search engines like Google use algorithms to search the billions of documents on the web. The result is a factor of two things. First, it returns only those results relevant to the query. Second, it ranks the results according popularity of the websites serving that information. In short, relevance and popularity are the key components that SEO seeks to influence. If your website is optimized to get noticed by a search engine and is popular enough, it will rank high in a SERP. However, to get to this point, a top ranking, there are many factors that must work together in order for a website to be relevant and popular. This is where SEO comes into play. 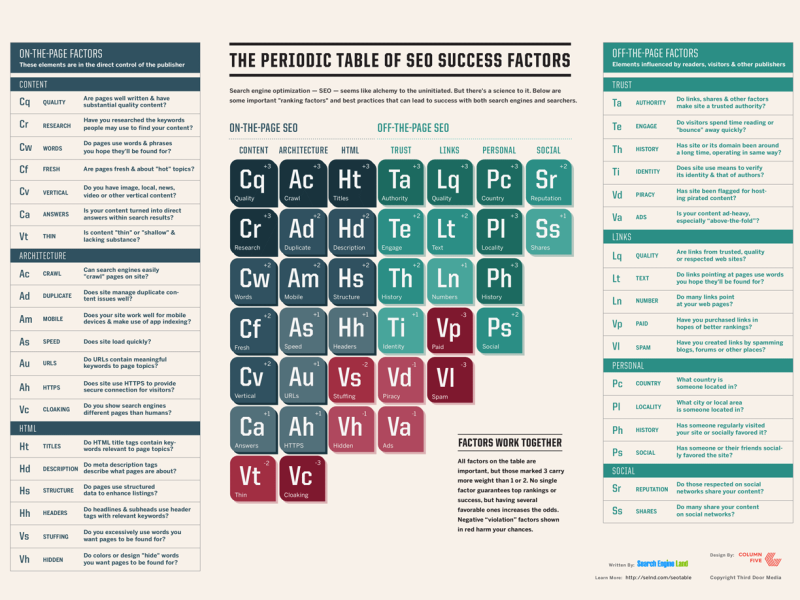 The science behind the art of SEO is so involved, SEO even has its own periodic table of elements! Why does your Portland business need SocialSEO? Because SEO methodology is so complex and constantly change, a competitive business market, like Portland’s, the practice of SEO is one that must be constantly in play to keep your website consistently ranking high. Pay-Per-Click (PPC) is another method of internet marketing which is simply a way to buy visitors. And, search engine advertising is extremely popular – Google makes tens of billions of dollars a year advertising links to other websites. Its popularity is due in part to the fact that a $4.00 fee from a visitor’s click on your ad or keyword can result in a $400.00 sale. The return on investment is huge! And, the results are typically immediate. In any marketing effort, content is king. The way your website’s copy is written lends credibility, builds trust, and adds value to your website. If your content is not SEO crafted nor clear and compelling, you risk the opportunity to convert a visitor into a customer and sending the potential customer to your competitor. Each of your website’s pages must be developed and written with SEO in mind. This involves not only informative, well-articulated, and eye catching content but industry specific research which is used to determine voice, style, tempo, and format of written content. Our professional writers are trained to craft and optimize your website’s content through the written word. In addition to providing web content, our writers craft press releases and traditional marketing copy, write blogs and offline articles, and are experienced in reputation management. Whether your goal is to announce a sale or generate buzz about a new product launch, social media marketing campaigns can be a very effective way to attract business. With multiple paths, strategies, platforms, and methodologies available to increase your website’s traffic, it’s imperative that your brand image remains consistent throughout each one. Multi-pronged marketing campaigns must be cross-platform compatible, dynamic, and ongoing. And, branding isn’t a process that ends. Staying in front of your target audience demands a strong and robust online presence today and the only way to do that is through sustained and concerted SEO best practices and online marketing campaigns. With SocialSEO as your Portland search engine optimization company, you will have a dedicated staff whose only goal is to drive traffic to your website and convert visitors into paying customers. Contact us today and learn more about what we can do for your company! Portland SEO offers SEO, PPC, and Social Media to the following areas in Portland, Oregon: NW Portland, NE Portland, SW Portland, SE Portland, Central Portland, Aloha, Albany, Clackamas, Rockwood, Eugene, Corvallis, Gresham, Milwaukie, Medford, Oregon City, West Linn, Lake Oswego, Tigard, Wilsonville, Newberg, Salem, Sherwood, Springfield, Tualatin, Beaverton, Bend, Lake Oswego and Hillsboro, Oregon. SEO has proven to be the most effective way to attract consumers to your website. When consumers see that a business is ranked #1 in their search queries, they will automatically think that they are the best. As the top Portland SEO consultant, let us help your business take control of that position. The race to the top of the search engine results is furious. Don’t enter the battle unprepared. Partner with the top social media digital marketing agency to get your rankings up. 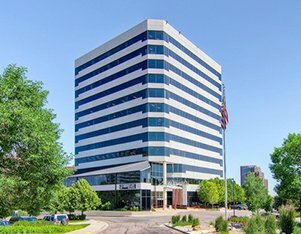 We have helped businesses across the United States, Canada, Europe, Australia, and Asia dominate their industries. If you are ready to take over your industry and rank above the competition, give us a call and request a free website consultation! Our SEO company in Portland is confident that we can give your business the edge over your competitors. Now is the time. Call (503) 468-7577 today.